Pack Type: Pack available both in pouches as well as bags. Pack Size: Packing available in 10g/20g/40g/100g/200g/500g/1kg and as per demand. Henna is a flowering plant used since antiquity to dye skin, hair, fingernails, leather and wool. The name is also used for dye preparations derived from the plant, and for the art of temporary tattooing based on those dyes. 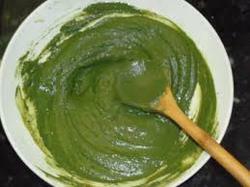 Additionally, the name is misused for other skin and hair dyes, such as brown henna or naturalhenna, which do not derive from the plant. Glory Burgundy Henna makes colouring easy. This unique hair dye spreads quickly and evenly, right to the roots of your hair. It imparts silkiness and shine, leaving your hair soft, fragrant and delightfully manageable. 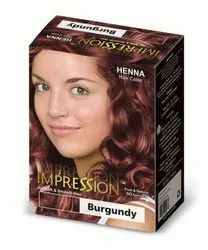 We are indulged in offering the finest quality Henna Hair Dye. Coffee henna is enriched by coffee arabica. It gives medium bown color on hair which looks elegant.Makes hair soft , shiny and easily manageable. We are engaged in manufacturing, exporting and supplying an extensive array of Henna Hair Color. Our team is the innate force that has led us in achieving a reputable name in the overseas and Indian markets. It is due to their dedicated efforts and knowledge that we make use of the available resources in the best possible manner.